I love many things about the British culture, including the tradition of having afternoon tea. There’s something to be said for taking a few moments to slow down, disconnect from devices, and spending time with the people around us. While having afternoon tea may not be practical each and every day, I do think it’s something worth regularly planning out to reconnect with family and friends. Here’s a complete guide for an afternoon “par-tea”! A very merry unbirthday to you! Infuse your party with the charm and chaos of afternoon tea with the Mad Hatter and friends. Decorate with roses, hearts, and clocks, and then challenge each other in a friendly game of pink flamingo croquet. Don’t be late for this very important date! 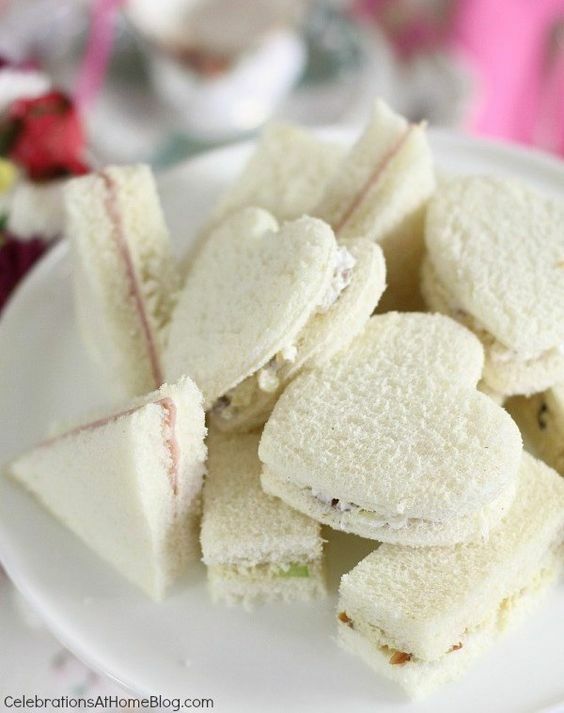 Share the love with fun heart-shaped afternoon tea sandwiches. Simply press out the shapes in your choice of bread using heart-shaped cookie cutters. Just as quintessential to afternoon tea as finger sandwiches are tea scones! These iced raspberry lemon scones are the perfect combination of sweet and tangy! No afternoon tea party is complete without a proper china tea set! Local Chinese markets often sell fantastic sets for very affordable prices. I especially love the variety and selection available from Lenox. How perfect are these lemon teabag cookies?! Enjoy them dipped in tea or on their own, but either way they’re pretty tea-riffic! 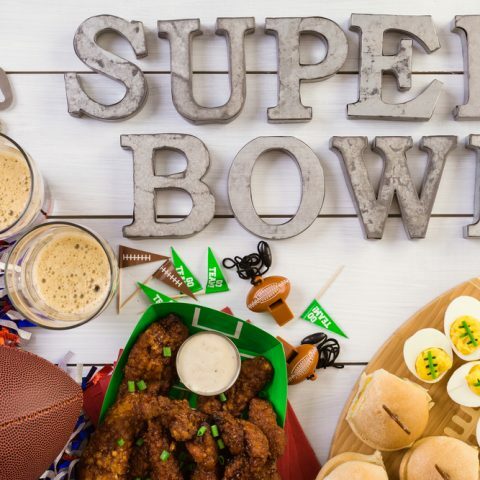 Put all your tasty finger foods on display with a tiered serving tray. Amazon offers a large variety of options for different styles and preferences. Macaroons make for a scrumptious end to your afternoon tea! 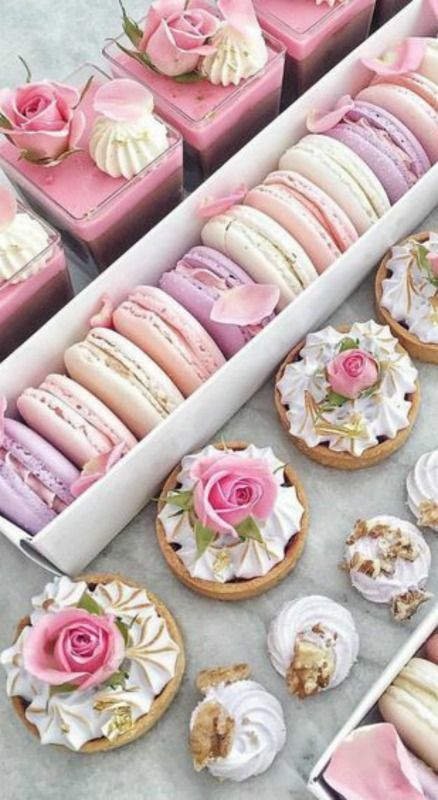 You can also opt for savory macaroons in place of or in addition to your finger sandwiches. 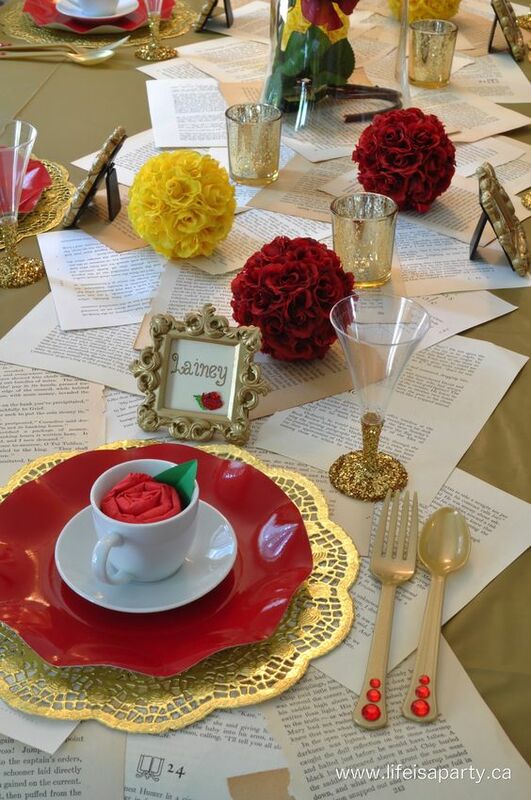 Lumiere and friends invite you to be their guest at a Beauty and the Beast themed tea party. 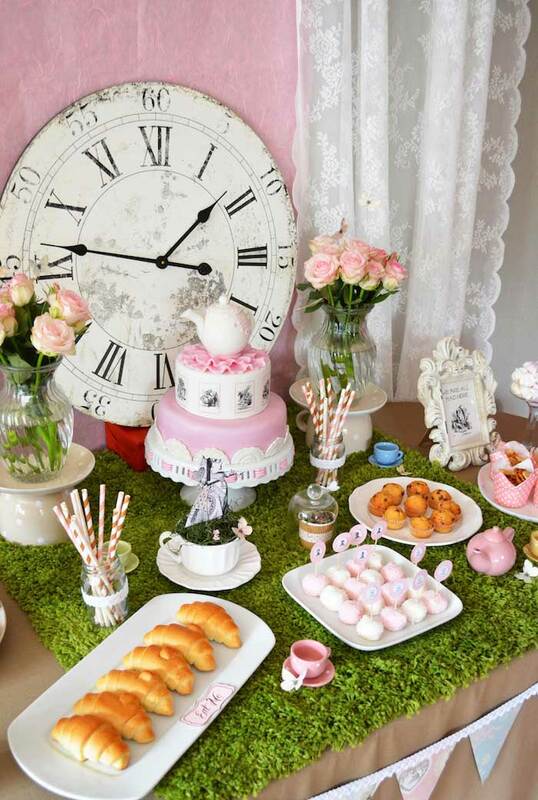 How fun would this be for afternoon tea with your daughter or nieces?! Make it a proper gathering with official invitations. 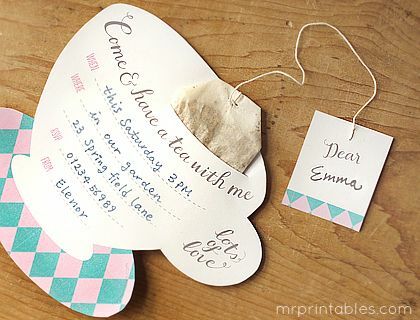 These cup and tea bag invitations are super fun and creative AND free to print from home! It’s all about the TEA! 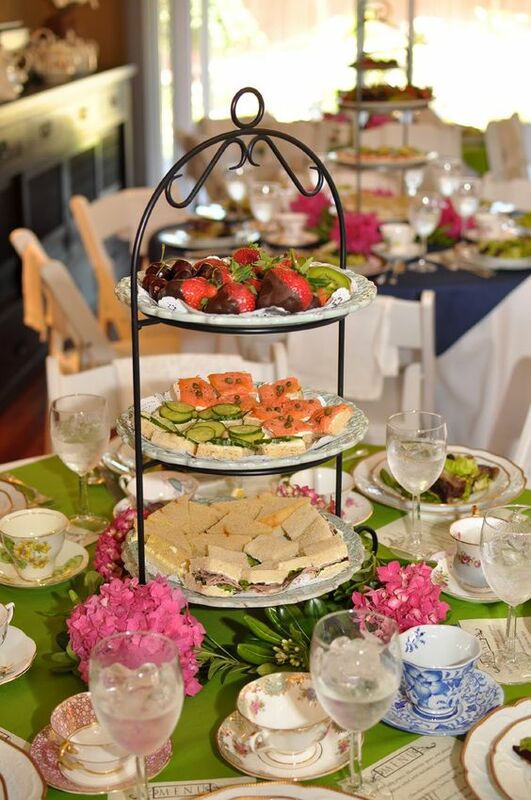 Be thoughtful in your selection of tea flavors to compliment your finger foods. My absolute favorite teas are from the Twining’s Discovery Collection. In fact, I think I’ll go have some Mint Medley right now! 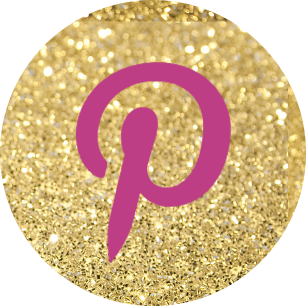 10 Ways Honey Will Bring Out Your Natural BEEauty!